Eduardo Munoz Alvarez/Getty ImagesA lot of work goes into becoming Santa Claus. Being Santa Claus involves more than wearing a red suit. Aspiring professional Santa Clauses attend Santa Claus school, where they learn everything from the history of Father Christmas to how to whiten their beards, Vox reported. Being Santa Claus doesn’t come cheap – one Santa pays $US750 to import his beard from Switzerland. For premier Santa Clauses, simply acting like Santa Claus isn’t enough – becoming Santa Claus is what sets them apart. That’s what Santa Claus school, where aspiring professional Santa Clauses learn how to stand out, is for, Vox’s E.J. Dickson reported. The Northern Lights Santa Academy also has training sessions for Mrs. Clauses and elves. But Rick isn’t the only Santa helming a Santa school. Santa Ed has been running the Santa Claus Conservatory, an online training program with more than 2,300 aspiring Santas, since 2013. The courses range from $US97 to $US347. “At the Santa Claus Conservatory, Ed leads workshops and seminars on everything from beard whitening and care to the nuts and bolts of search engine optimization,” Dickson wrote. Read more: Children are actually smarter than we give them credit for. 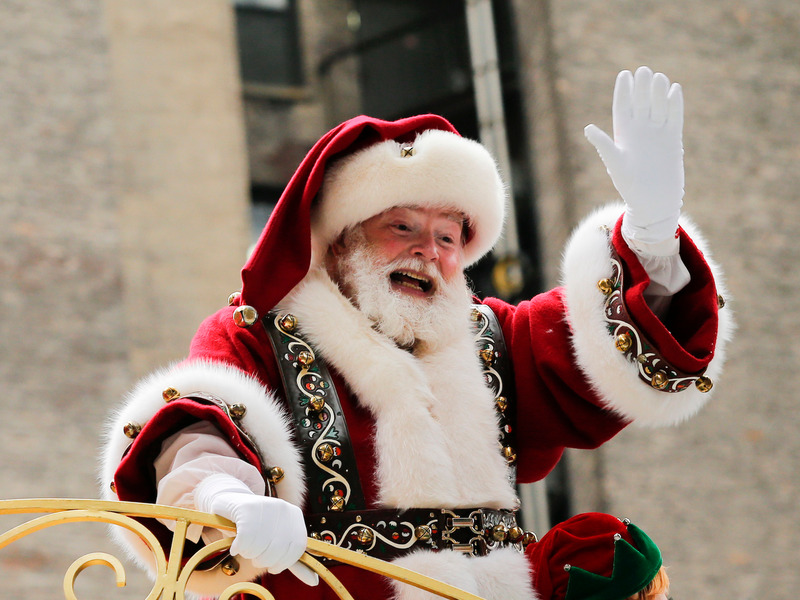 Here’s why they still believe in Santa, according to science. And at the Charles W. Howard Santa Claus School, more than 200 aspiring Santas gather each year to attend a three-day series of classes where they learn everything from the history of Saint Nicholas to reindeer habits, Business Insider previously reported. Santa Jim, who has played Santa in the Boston area for more than 14 years, attended a couple of Santa Claus schools to perfect his role as Father Christmas, he previously told Business Insider’s Rachel Gillet. For Jim, being Santa involves creating an online presence, booking gigs up to a year in advance, and working year round – December remains his busy season, for obvious reasons. But becoming a professional Santa doesn’t come cheap. Jim imports his beard from Switzerland for $US750, has a belt that costs $US400, and spends more than $US300 a year on dry cleaning. Rick, of the Northern Lights Santa Academy, told Vox that high-end Santas can earn up to $US25,000 a season, but the cost of travel, lodging, and garb can eat into the pay. A quality Santa costume and accessories costs at least $US1,000 and a beard set made of human hair can range from $US1,800 to $US2,500, he said.